Today’s realities in a large city make security systems absolutely crucial to normal operation of any facility, such as a shopping mall, office centre, administrative buildings, hotels and so on. Integrated security systems – one of the most successful applications that Intertech has been involved in over the years. In our work we use the following regulations: RD 78.36.003-02, VNTP 116-80, SNiP 1.02.01-85 and NPB 88-2001. 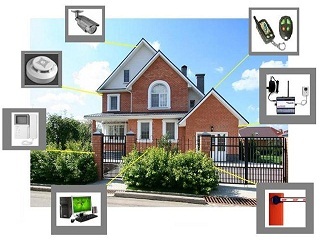 The solutions we present to our customer for review are multi-level security systems. We can engineer and install CCTV, fire security systems, which would have an intuitive user interface, that does not require special training. At the same time Intertech often takes on complicated projects that require special expertise. Hardware solutions are chosen from a variety of brands – Honeywell, Esser, Philips, Inter-M, Bolid, Argus-spektr, ADEMCO, Novar, Rubezh, Spetsavtomatika, Теко, SystemSensor, Pyronix, VESDA, Eff-Eff, CROW, ADEMCO, DSC, ElectronicsLine, Legrand, GE Security, OPTEX, Apollo, BOSCH. 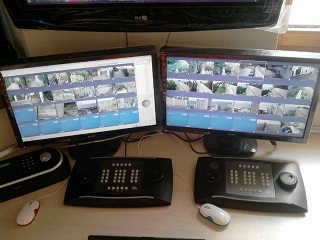 An installation of CCTV, security system, fire monitoring, access security at home or at work can be used not only to get timely warning of a certain situation or problem. Software and hardware systems permits to limit access to secure information to top managers and responsible employees only. The security systems that we design and implement allow to get a full chronological report of employees’ schedules and presence at work. The real know-how in the field is the «intergrated security system», which based on a central data management system implements the full scope of security functions. This centralised system allows the user to review and take action in a security situation with the maximum depth of information from all the different sources at their disposal. An integrated security system – is a compilation of software and hardware solutions incorporated in a single interface, which can significantly lower operational costs.